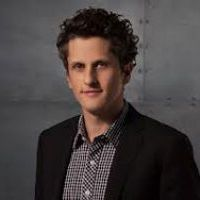 Box is a cloud content manager whose tens of thousands of business customers include more than two-thirds of the Fortune 500. The Fool has written over 100 articles on Box. Forward guidance from the cloud content platform leader left the market wanting more. BOX Earnings call for the period ending January 31, 2019. The cloud content management platform leader received kind words from Wall Street last month. Here's what investors need to know. Box reported stronger-than-expected growth, and shares of newly public Yeti fell after the company reported earnings. BOX earnings call for the period ending October 31, 2018. Shares of the cloud content management company slipped as investors fled the market last month. Better-than-expected second-quarter revenue and adjusted earnings per share weren't enough to impress investors. The cloud storage provider's decelerating growth may have spooked some investors. A hedge fund manager's recommendation to be long on Box lifted the company's share price. A hedge fund manager is singing the praises of this cloud services company. Here's what investors need to know. The cloud-storage company fell on weak guidance in its earnings report. Slowing growth may have investors worried. BOX earnings call for the period ending September 30, 2017. Industry, sector and description for Box.